The champagne was flowing as the Oculus team celebrated Bill and Bianca’s wedding this morning. Bill and Bianca are set to be united this Saturday at the Saint Anthony’s Church in Kingscliff, followed by a remote ceremony on a nearby farm. High school sweet hearts Bill first met Bianca in Pre-school and have dated for the past 8 years. 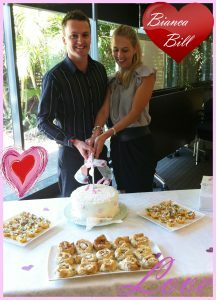 The Oculus team wish you a wonderful day on Saturday and a happy, healthy loving life together.